When acknowledging black pioneers in the fashion industry, names such as Ann Lowe, Naomi Campbell, Edward Enninful and Ozwald Boateng are usually referenced. 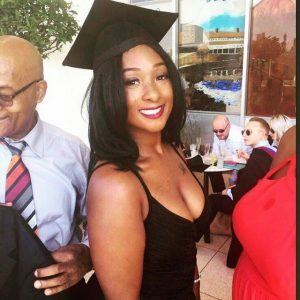 A more recent addition to this list is Shakaila Forbes-Bell, the first black woman to graduate with a Masters Degree in Psychology for Fashion Professionals at the London College of Fashion. The course, at the time of her applying, was the first fashion psychology course in the world and Shakaila was one of the first graduates. During her studies, she would gain a deeper understanding through her research on the correlation between human behaviour, fashion and race. Prior to her applying for the course at the internationally acclaimed fashion institute, Shakaila had graduated with a degree in Psychology from UCL and was considering her next move. She knew that she wanted to merge her love for psychology with fashion, and when the law of attraction kicked in and served up this brand spanking new course, it was clear, this would help her to achieve her goal. As with anything new, Shakaila found that some did not understand her choice of study. This however, did not deter her and it was clear during our interview, she has a genuine passion for fashion. Her love for psychology is also apparent, as she often referenced, published research on key developments in the industry. Some which reveal disparities highlighting the lack of racial diversity and some which debunk myths that racial diversity in campaigns have a negative impact on the profits of big brands and can in actual fact do the opposite. Demand was so high for the All Black Edition of Italian Vogue in 2008 the publisher had to reprint – Click the pic to read more. The debate of diversity in the fashion industry, or lack thereof, has been on going for years and Shakaila has delved deep into the research, which provide many interesting findings. One such study, she revealed, was by Nielsen who found that 73% of whites felt that African Americans are pivotal in shaping pop culture. Shakaila also plans to contribute to the world of academic research, with her thesis, which is pending publication. 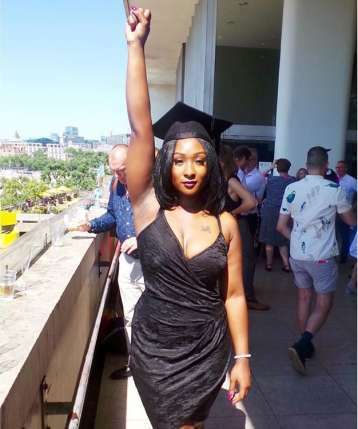 When I ask, how she felt on graduation day, knowing she was one of the first to hold a Masters in Psychology for Fashion Professionals, Shakaila still beams with pride. 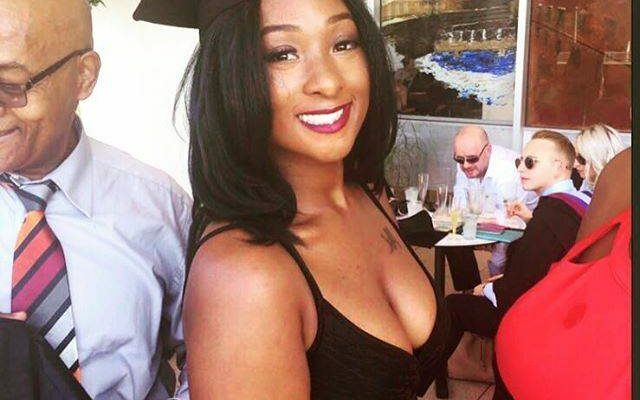 Her photo taken on graduation day, has gone viral and attracted worldwide attention with many praising Shakaila’s accomplishment. It is almost symbolic that Shakaila is in this position, because during her childhood, role models in the industry were not so apparent. It was at this early point in her life, where she noticed the media and fashion industry did not reflect many individuals she could identify with. Shakaila also credits her parents’ continuous support and the positive impact on her from a young age. Moving forward Shakaila plans to complete the process to publish her thesis and to continue working within the fashion industry. Her personal blog Psychology of Fashion is also another passion project where she can further share her findings and highlight the latest news and trends in the fashion world. As a new graduate of Fashion Psychology, Shakaila is a welcome addition to the industry and already a valuable contributor with her research to squash any dismissals on the importance of diversity within fashion and media.